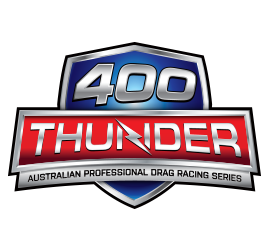 One of the most spectacular racing categories in the world, and by far and away the fastest, Top Fuel is Australian Drag Racing’s main event. At the forefront of the 2016 400 Thunder Championship is Damien Harris, one part of the incredibly successful Rapisarda Autosport International operation. With around fifteen years’ experience in the sport, Harris explains that only a fraction of that has been spent in Top Fuel in particular. “I’ve been racing Top Fuel for around five years,” he explains. “Three years ago I was having a conversation with Santo Senior as I was looking to wind up my own team. I’ve been with Rapisarda ever since – it’s an amazing family, they’re great to work with and I’ve enjoyed watching them grow in the sport,” Harris continues of how he became involved with the Rapisarda racing operation. “One of the highlights of the season would have to have been going back-to-back in Perth. Santo Junior was getting a much better handle on how he wanted the car to work, and it just really came together for us there,” explains Harris of the incredible progression he and the team made throughout the 2016 season. The season culminated at the Winternationals, and with Rapisarda fronting four of the six-car field Harris is quick to identify the Winters as one of the toughest races of the season. “For the Championship, we really needed to run well at the Winters,” he explains. Fixated on the Championship, Harris met Rapisarda stable mate Larry Dixon in the Semi Finals and the team threw everything they had at the track. The result was the fastest ever side-by-side Top Fuel pass in Australian history, however it wouldn’t be enough to see Harris progress in to the Finals. “It was still anyone’s game and all we could do was sit back and watch,” explains Harris. Fellow Championship contender Wayne Newby could have clutched the win, but bowed out to Dixon in the Finals. “It made me a little nervous but we got there in the end!” exclaims Harris. “They’re interesting beasts to tune,” continues Harris of the challenges facing the teams as they constantly try to outdo one another at the pinnacle of Drag Racing in Australia, balancing 10,000-horsepower and hundreds of thousands of dollars’ worth of engineering on a knife-edge. “Santo Junior has to try and marry the track to the engine and the clutch. The cars are all configured differently and it takes a while to learn about them individually, but they’re getting there,” he says appraisingly. Looking forward, Harris played his cards close his chest about what the 2016/2017 season looked like for him. “We’ll wait and see. We’ll go out and test later this year and see what comes from that,” he reveals coyly.